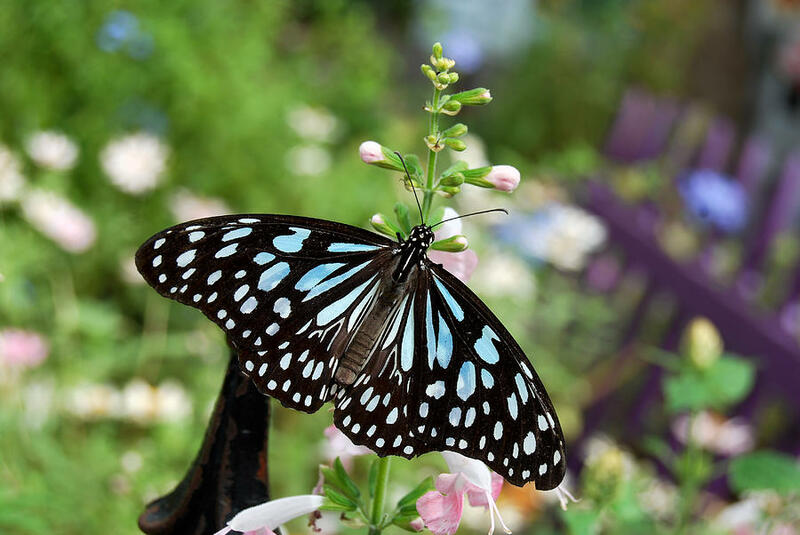 Blue Tiger (Tirumala limniace) is a butterfly found in India that belongs to the Crows and Tigers, that is, the Danaid group of the Brush-footed butterflies family. 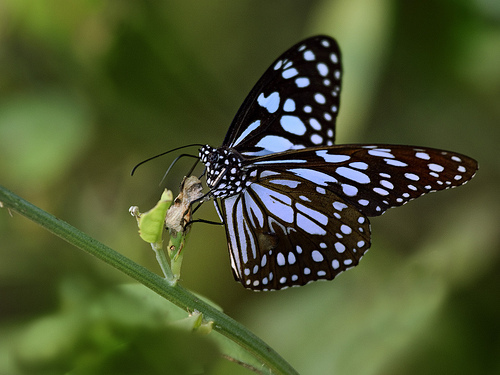 This butterfly shows gregarious migratory behaviour in southern India. 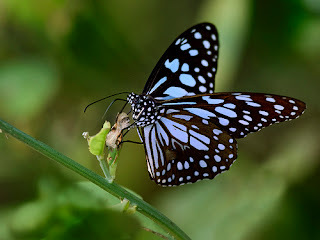 Upperside black, with bluish-white semihyaline spots and streaks.This species migrates extensively during the Monsoons in southern India. 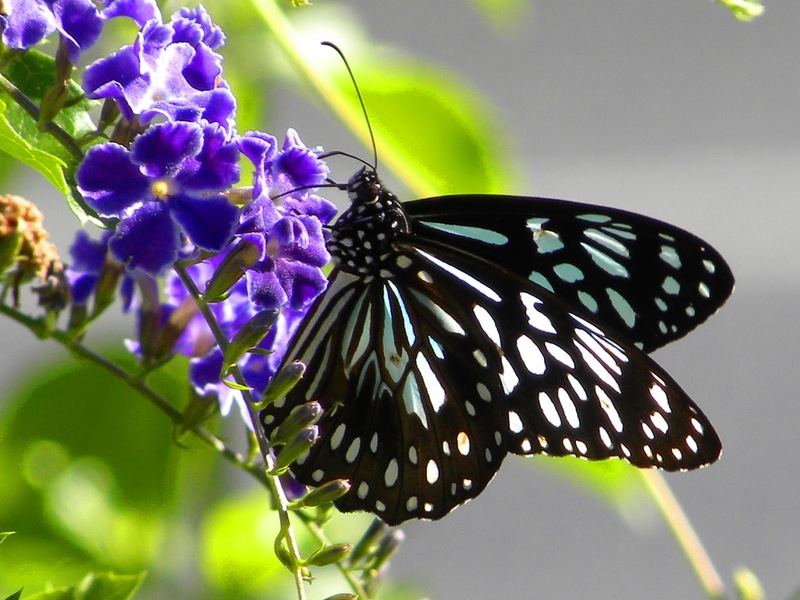 The migratory populations have been observed to be nearly entirely consisting of males. 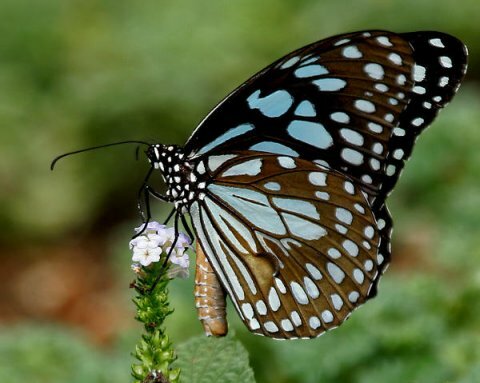 It is also known to mud-puddle during migration.